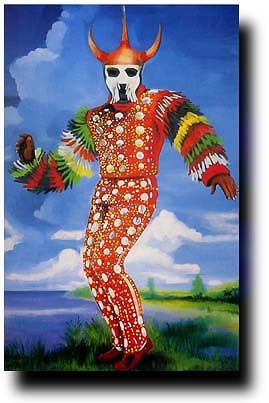 Carnival masquerade is Africa. Europe and Asia marching down a main street in costumes of the ultimate symbols of liberation. Every man surging together up out of centuries of displacement. It defines cultural boundaries as well as boundaries of the imagination. It cries of cultural magnitude and vibrancy of the human spirit.